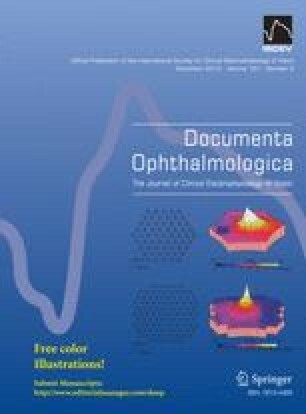 The aim of this study is to investigate the role of pattern reversal visual evoked potentials (pVEPs) in the screening and monitoring of optic pathway gliomas (OPGs) in children with and without neurofibromatosis type 1. A review of the English literature published between 1980 and 2012 was performed, with comparison of results of retro- and prospective studies. Pattern reversal VEPs have a high sensitivity (85.7–100 %) for the diagnosis of OPGs, moreover they are safe and cost-effective. Conversely, they have a low specificity (43–83 %) and are not widely available. Besides, pattern reversal VEP results can be unreliable in young children, because of the need for a good cooperation. The studies that were analyzed have drawbacks, including the small sample size, the retrospective design, the differences in gold standard for diagnosis, the different interpretation of small changes in VEP results and the lack of control groups. There is still debate about the gold standard for the screening and follow-up of OPGs. The added value of pVEPs to the ophthalmic examination is controversial. Randomized controlled trials or prospective multicentre studies are necessary to assess with sufficient accuracy the sensitivity and specificity of pattern reversal VEPs in the screening for OPGs and its follow-up.